Thank you for answering but I wanted to know the difference between this body jet and a standard wall sprayer. For example, the difference between the H2Okinetic Body Jet and the surface mount body spray part 50102. How does this differ from a surface mount body spray? can i install 6 50150 body sprays together and can the shower head be run at the same time. that'll take 14.5 gpm. Thank you for your question. Depending on which valve and which trim you are using, the most you can get out of the valve is 9 gpm. 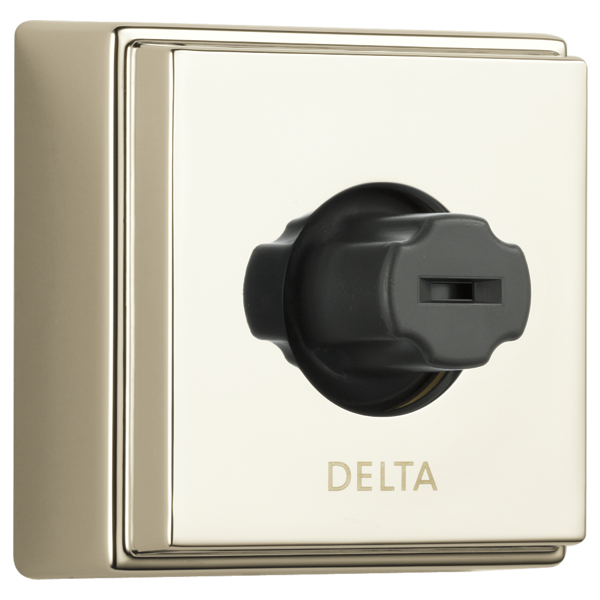 This is using the R10000-UNBXHF with a thermostatic trim like one of the 17T series trims. Will this body jet work with my 3/6 diverter valve with a R11000 rough in valve? I have a T11853-SS diverter valve &amp; R11000 valve and 4 50102-SS body sprays. Can I swap out my body sprays for this body spray? Will I get enough GPM through this system with a T17053-SS and the R10000-UNWS (high flow version)? Thank you for your question. Delta Faucet model 51010-SS has a GPM of 1.8 at 80 psi and the 50102-SS has a GPM of 2.0 at 80 psi so you will probably not notice a difference between the two. You can swap them out and they will work just as the other jets worked. Does the body jet (50101) have multiple adjustments? What I mean is: The body jet has a directional adjustment, but does the spray pattern change when turning? I know on a whirlpool jet you have direction and also with the rotation of the eye ball jet it will increase or decrease the water flow. Thank you kindly.